It is often faster than the competition. This will save you disc space, transmission costs AND valuable working time as well. It supports all popular compression formats (RAR, ZIP, CAB, ARJ, LZH, ACE, TAR, GZip, UUE, ISO, BZIP2, Z and 7-Zip). The software is also ideal for multimedia files. 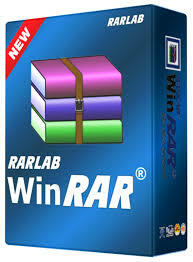 WinRAR automatically recognizes and selects the best compression method. The special compression algorithm compresses multimedia files, executables and object libraries particularly well. Its 128 bit password encryption and its authenticated signature technology will give you the peace of mind you have been looking for when you need to send data through the web. As a shareware, meaning you have the chance to thoroughly test it. The program can be used absolutely free of charge for 40 days! Once you have purchase license, you will be given all future UPDATES for FREE! Not like the competition that will make you pay again every one or two years.